. Painting and decorating? Yep, hand me a paint brush!
. Watching the Snooker? Sure, I’ll pretend I’ve got a clue what’s going on!
. Washing the car? I’ll bring my own sponge! Yep. In my eyes, the man was a legend and could do no wrong. That was, of course, until he handed me a teaspoon of his daily dose of honey one breakfast time…I can still remember sitting with it in my mouth for what seemed like an eternity, wondering why Winnie the Pooh has been making such a fuss of the yellow glupe that I was struggling to keep down. One day, whilst sat in the shed, taking a break from clearing out the clutter (seriously, there was nothing this guy couldn’t dupe me in to doing! ), he explained that his love of honey came about from his friend ‘Jimmy’ the Bee. You see Jimmy used to come and visit my Grandad at his shed on a pretty regular basis. And by all accounts was a pretty social little guy, whiling away the hours chatting to my grandad whilst messing about in the lavender and putting the world to rights. They’d play cards together, share cups of tea and exchange stories. Now. As I’ve grown older, I have to admit that I have started to question some of Grandad Franks credentials. For instance, if this Bee could talk, why was he knocking about in Dewsbury West Yorkshire when he could have been making mega bucks on the stage? Do bees even drink tea? And how did he hold the playing cards? I’m pretty sure that bees don’t even have opposable thumbs?! The mind boggles. Where most are sweetened with Sugar, we have used natural Honey and enhance the flavour whilst maintaining very low calories. The kicker is then we use a Champagne style bubble to provide the perfect aroma. I hope I’ve captured your attention”. Buzbee’s Beverages, founded by Managing Director Mark Busby (see what he did there?! ), have a primary focus; to deliver quality, healthy products, with a conscience. Working with and having a passion for bees, beekeeping and honey, Buzbee’s offer a whole range of honey sweetened products that not only offer a healthy alternative to other mixers on the market, but also aim to support & improve the environment, nature and the world around us. I have to admit, going in to this tasting I was a little apprehensive. I am usually one to shy away from using flavoured tonic waters, for fear of losing my gin in amongst bolder or (worse still!) synthetic flavours. But much like finding a £5 note in your coat pocket, forgetfully placed there during the previous winter, I was pleasantly surprised…My worry that the fruit flavours would be fake or unrecognisable proved to be completely unfounded. The tonics are subtle and play a supporting act – it’s called a Gin AND Tonic for a reason. Yes I want a longer drink, with a good quality tonic. But I also still want to taste the gin that I put in my glass. Buzbee’s achieves this goal tenfold. ‘But I thought you didn’t like honey? !’ I hear you exclaim. Well rest assured that this isn’t a gimmick. The honey isn’t there as an overpowering flavour, but instead acts as a natural sweetener; there are no nasties in sight with Buzbee’s. And at only 14 calories per bottle it acts like a light tonic, without those pesky sugars present to mask the gin flavour profile. Great for the tastebuds & the waist line (if you’re watching out for that kind of thing), proving that healthy doesn’t have to be boring. The bubbles are noticeably lighter in the Buzbee’s range – the mixers don’t come across as being overly carbonated. And that’s no bad thing, as I found that it allowed the gin to not be overpowered. If anything, this seems to emphasise the gin and let the booze do the talking, creating a longer drink without the distractions. A point to note is that the quinine is also much lighter in flavour than in other premium tonics on the market, making this a great introductory tonic for anyone who claims to dislike gin (but has actually fallen victim to the classic ‘cheap tonic’ pitfall). 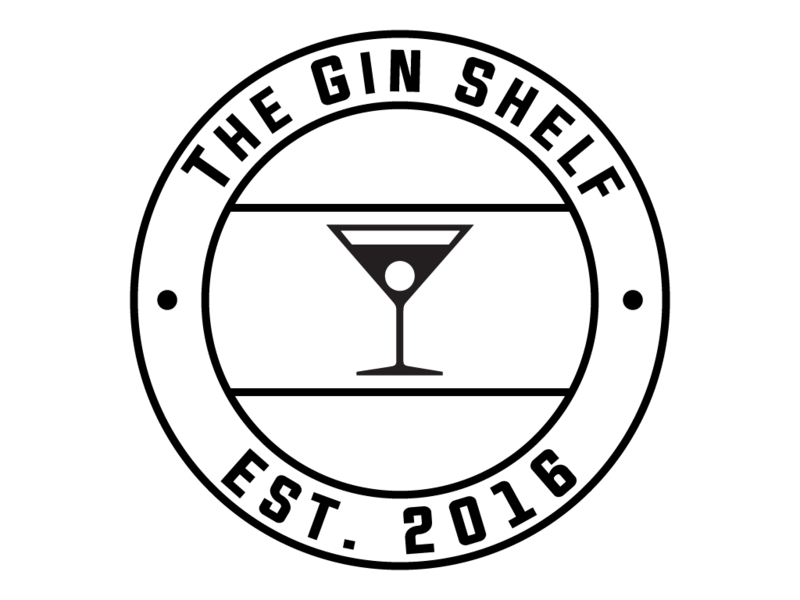 That being said, the ability for the tonic to happily let the gin play a starring role also offers the potential for this tonic range to become the ‘aficionados mixer of choice’. I went for all classic flavour combos in my tasting line up. And I have to admit…this stuff really works. The bold orange flavours of the gin work in perfect harmony against a passion fruit supporting act, combining to create a refreshing and topical G&T that still leaves you comfortably reassured that there is definitely alcohol in your glass! Fun, fun, fun! As a firm fan of this little rhubarb & ginger number already, the tonic brings an additional rhubarb zesty kick to the G&T, with enough ginger heat still allowed to shine through and warm your pallet. A sweeter rendition, more owing to the choice of gin, but just as delicious. As if I could sample a honey sweetened tonic range & not find a pairing with the equally fabulous Honeybee Gin from Warner Edwards! Perfect bed partners in their ethics as well as their complementary flavour profiles. The sweet, warming haze of the honey gin and accompanying delicate spice, work incredibly well against the delicate sweetness of the elderflower tonic. A lemon wedge garnish to add a hit of fresh citrus sharpness makes this my pick of the bunch! With inspiration taken from the Mediterranean, the G12 gin was always going to be a contender for a tonic with a touch of the Med! The balance of the herbaceous greenery and citrus undertones of the gin, married against the sweet & herbal suggestions of the tonic, work brilliantly well together. You need only meander your way through the company website to understand that this is a project of passion for all involved. Indeed, they go on to state that ‘creating a smile for all our consumers means everything to Buzbee’s’, always striving to improve & push the boundaries of the flavours in their portfolio without compromising on the quality of the end product or the ethics on which they are based. So this ones for you grandad & Jimmy. I’ll drink to that. With huge thanks to Mark & the team for my Buzbee’s samples!